The Rockefeller name has long been associated with business success around the world. Through this website we plan to profile other successful entrepreneurs in Australia and around the world. Of course many of them are unlikely to reach the lofty achievements set by John D Rockefeller, but that doesn’t make them any less interesting. 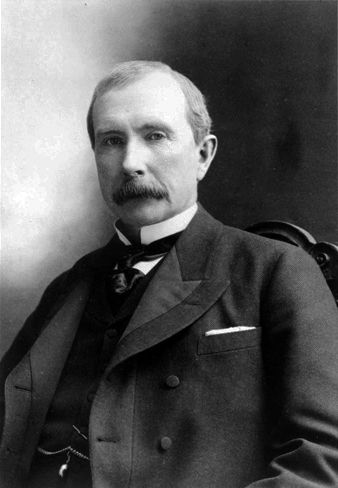 Who was John D Rockefeller? Have you ever heard of oil companies such as Chevron and Exxon? Well these global giants were born out of the original oil company established by Mr Rockefeller. Rockefeller’s Standard Oil company was one of the largest oil producers in the world, and by the end of the 1870s his company was producing over 90% of the oil refined in the USA. Eventually Rockefeller’s company was so dominant that the US government was forced to end the monopoly and have the company broken up in to smaller companies such as Chevron and Exxon. According to some calculations, Rockefeller was the wealthiest person to ever have lived. When his peak wealth is compared to US GDP of the same era, he sits well above any other person on more recent wealth lists. What is the Rockefeller.com.au website all about? Although monopolies like the one held by Rockefeller are not achievable in business today, his legacy and example show how dominant businesses can be built to produce great wealth which passes through many generations. If you would like to suggest an Australian business person or entrepreneur to profile on this website please leave a comment below.